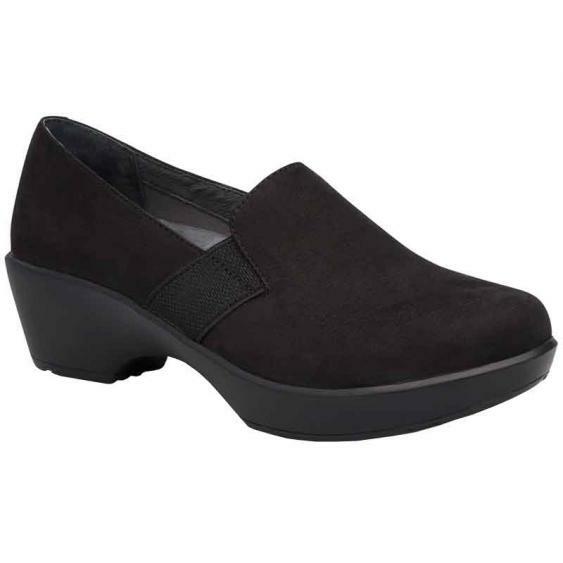 Part of Dansko’s Dillion Collection, the Dansko Jessica is lightweight, versatile, and extremely comfortable. Fashioned with dual side goring, the Jessica is easy to slip on and off. The smooth and breathable leather upper and linings are easy on the foot and the removable dual-density footbed provides support and shock absorption. The Jessica is finished off with a textured rubber outsole for traction and underfoot protection. There’s no need to give up comfort for style with the Dansko Jessica clogs.